Peoria Criminal Defense & Family Lawyer | McCall Law Offices, P.C. We proudly serve all of Peoria County and the surrounding communities, including Dunlap, Germantown Hills, Morton, Pekin, and Washington. Contact Us Today At (309)948-5908! When you choose McCall Law Offices, P.C. to handle your case, you can expect to receive unmatched personal attention. Whether you have recently been arrested for a criminal offense or are facing a complex family law matter, you can be confident that our firm will provide you with the client-centered representation that you need and deserve. 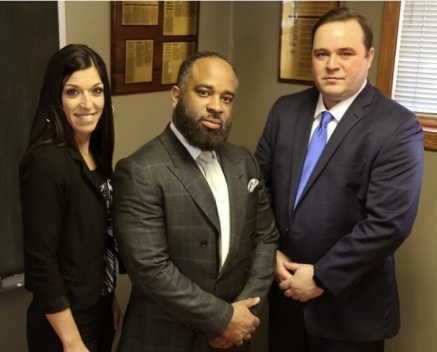 Attorney Christopher McCall and his legal team are whole-heartedly devoted to your case, and will do everything possible to protect your best interests. When you come to us for help, we will take the time to understand your goals. Our Peoria family lawyer will work tirelessly to develop the best strategy to meet your goals. We will educate you about your situation and provide an honest analysis of what to expect. As a result, our clients are happy and comfortable with our counsel, even in the midst of a distressing situation. We understand that family matters can be stressful, as you and your family are facing a major transition. As such, we will treat you with the care, compassion and respect that you deserve. Our team will prioritize the best interests of your family every step of the way. If you have been arrested and charged with a crime, then you need a tough criminal defense attorney to protect your rights. Whether you are facing a felony or a misdemeanor, a conviction could heavily impact your future. At our firm, we have the experience you need on your side. Attorney McCall has dealt with hundreds of criminal cases, and has obtained amazing results for his clients. As a former prosecutor, he has a unique perspective and an inside look into the Peoria Criminal Court. Even if you have already been convicted, we can help you file an appeal or help you discover if you are eligible for expungement. Are you ready to get started on your case? When faced with a complex legal matter, we understand the fear and anxiety that you are likely experiencing As such, we strongly advise you to retain the immediate representation of our firm. Do not navigate through the legal system without our exceptional legal representation. When you choose to work with our firm, you can be confident that we will provide you with personalized legal solutions that you need and the supportive assistance that you deserve. The moment you walk through our firms doors, we will do everything within our power to help you obtain the peace of mind that you deserve. In order to do so, we will address each of your concerns and answer each of your questions. After thoroughly reviewing your unique legal matter, we will inform you of your rights, review your legal options, and guide you down the path that best suits your needs. We at McCall Law Offices, P.C. are proud to provide effective legal services that have proven to be high-quality and resourceful. Call our office or fill out an online form to get in touch with our exceptional lawyer in Peoria. We are ready to fight for your best interests.